What’s The Best Air Purifier for Cat Litter Dust? Anyone who has had a cat in their home for very long knows the experience of having cat litter dust floating through their house. There is also the pet hair and dander to deal with, and all of these can cause sneezing fits and other allergic reactions. You don’t even have to have allergies to be bothered by these airborne annoyances. They can affect anyone, and you may want to do something about them. 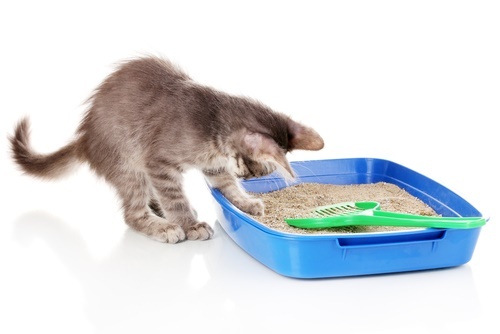 Sometimes, changing out the litter isn’t always an option, and that won’t do anything for the cat hair and dander that are still floating through the air. The most comprehensive solution to the problem of having too many particles in the air is to get an effective air purifier. The purifier needs to be big enough– According to Catsnipcademy.com, the larger the room, the larger the air purifier will need to be. If it isn’t big enough, then it isn’t going to effectively filter out particles in the air. Consider getting a low dust litter- While you may still want to buy an air purifier for your house, you may help the situation by using cat litter that is dust free or low dust. You will still have other particles to contend with in your air, but this can make the purifier’s job easier. Check the warranty– Buying an air purifier can be quite the investment, and you want to make sure it will last you for a decent amount of time. To that end, you should check the warranty and ensure that it is good for at least a year. You may also want to go for the longer warranty to provide greater protection. 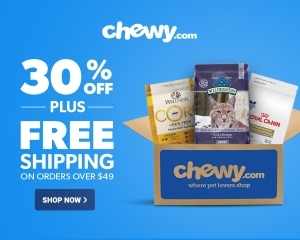 Consider your and your cat’s allergies– As VetInfo.com suggests, your allergies may play a role in how severe the dust problem is for you. Don’t forget about your cat’s allergies as well. You may need special types of filters to deal with these issues and make the air more breathable. It’s time to look at five air purifiers and air purification products that can make a difference in your home. 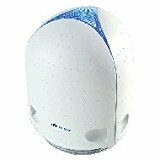 These are our top choices for air purifiers that are excellent at filtering out cat litter dust and other airborne annoyances. We hope you will find one that works well in your situation. This air filtration unit is specially designed for pets, and it comes with a HEPA filter to kill bacteria and stop allergens. It also uses UV light technology to kill all sorts of viruses, germs and mold. All of these features work together to provide powerful protection for allergy sufferers. A lot of what is in pet litter dust (after it has been used) that will trigger allergy symptoms is bacteria from your cat’s waste, and most of that can be eliminated with this air filtration unit. GermGauradian offers some the best protection against germs and other airborne pollutants. On the downside, the control board on this particular model tends to burn out for some users after a while. If the unit is still under warranty, then the manufacturer may replace it. 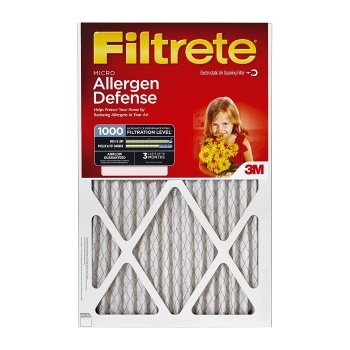 This air filter is a replacement for your home’s air filtration filter. You can change out what you already have for something that is more effective at killing germs, preventing particles from moving through the air and causing you health problems. The better your air filter is, the fewer airborne pollutants you will have to deal with, but as Airistair.com reveals, you also need to make sure that your air conditioning unit is maintained properly to keep your air quality excellent. This particular air filter is designed to take your typical heating and cooling system and transform it into a powerful air filtration unit that traps particles and kills germs. Just be sure to change it out every so often. The more people and animals you have living in your home, the more often it will need to be replaced. If you are willing to pay a bit more for a high-quality air filtration system, then this one from Airfree may be perfect for you. It’s made using filterless technology, so there are never any filters to change out. That can save you money over the long run and you might be able to save enough on filters to justify the cost of this expensive filtration system. It effectively kills mold spores, tobacco particles, germs, bacteria and lots more, creating clean, breathable air that smells and feels great. It also runs silently, so it really is one of the most fully featured and high-quality filtration systems you can get for your home. 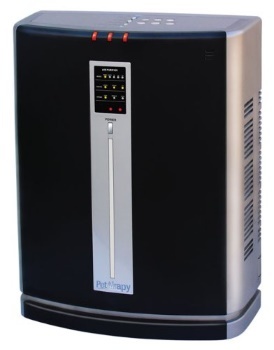 If you have a big budget for an air filtration system and you want a true beast of a machine to filter your air quickly and effectively, then this unit from PetAirapy might be perfect for you. 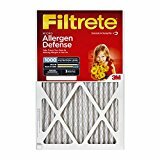 It’s made to specifically filter the air for particles created by pets, including cat litter particles, pet dander and pet hair. You would be hard-pressed to find a more effective method of cleaning the air in a house full of cats. It really doesn’t matter how many cats you have using the litter box in the room, because this machine can handle all their airborne particles. 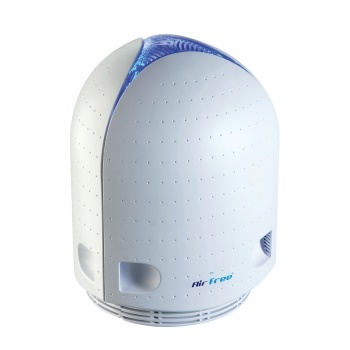 It kills or traps up to 99% of germs, bacteria, allergens and other airborne substances, rendering your air super clean. It works silently and operates in an environmentally friendly way, giving you unparalleled health and safety benefits. This is an inexpensive way to purify your home’s air, but at that price point, you can expect it to not quite hold up to some of the bigger, high quality options on this list. 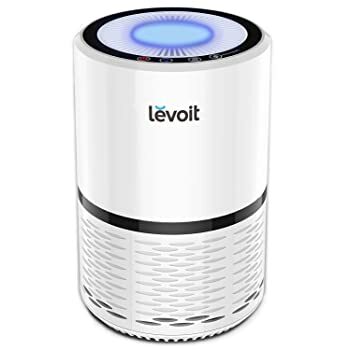 Levoit’s air purifier works fairly well at getting rid of the most common allergens in the air, and it can purify the air from cat litter dust, but it may burn out on you after a few weeks or a few months, if you use it constantly. There have been numerous reports of the system malfunctioning after a short while. On the plus side, it does run almost silently, and it manages to kill or trap most airborne particles in the room. Just don’t expect something on the same level as many of the other choices we have presented on this list. This is definitely a budget air purifier, and in that regard, it does just fine. You’ve seen our top picks for air purifiers and air filtration products, and now we hope you can make an informed decision as to which one you want to use. You should pick something that handles allergen triggers for both you and your cat and yet also something that works within your budget. That’s why we gave you a wide range of budget options here, so you can find exactly what you need at a price that you can afford.